First night’s dinner with a view at Punta Bonita. Had dinner at 5pm so got a little hungry at 11pm – room service of grilled shrimp and lobster rolls! 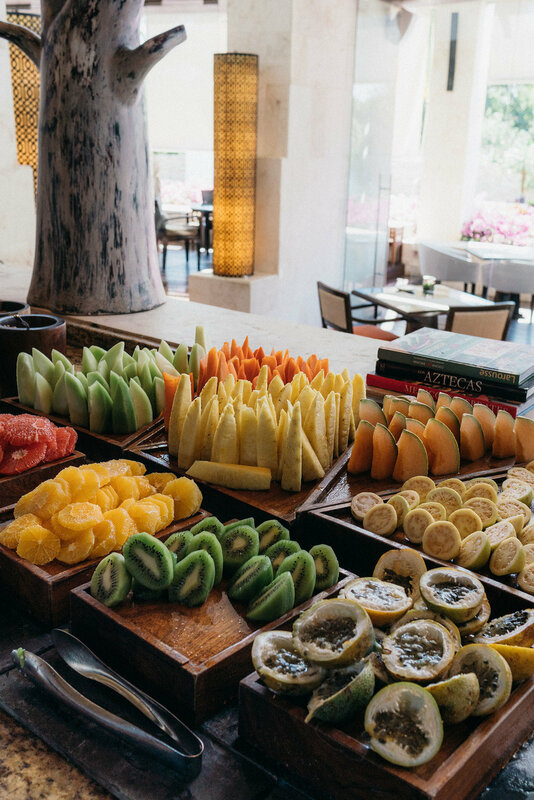 Breakfast buffet at Casa Del Lago, Italian-inspired fare with Mexican flavors. 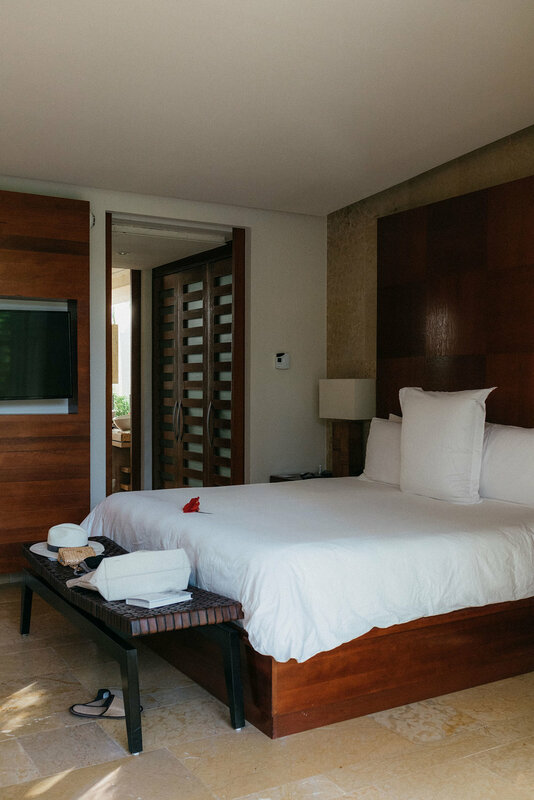 Back in our suite, ready to relax in our private plunge pool. 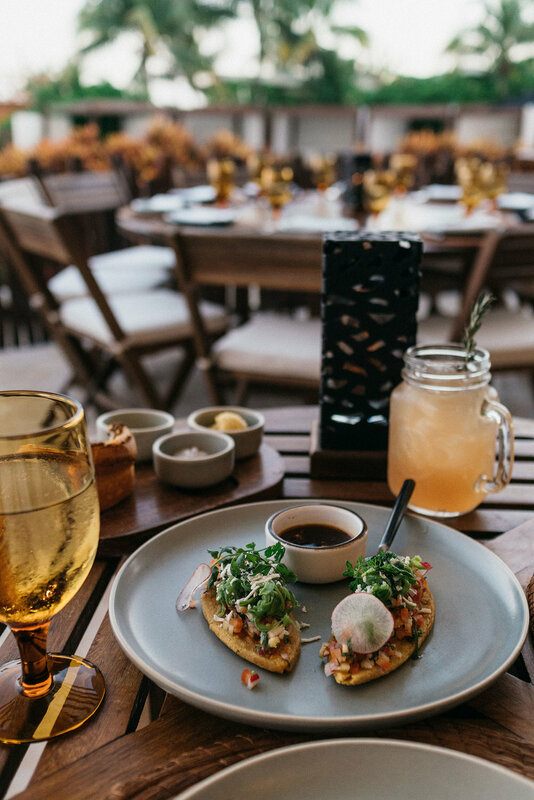 A special family-style dinner at La Ceiba Garden & Kitchen, which pays homage to authentic Mayan cuisine and heritage. 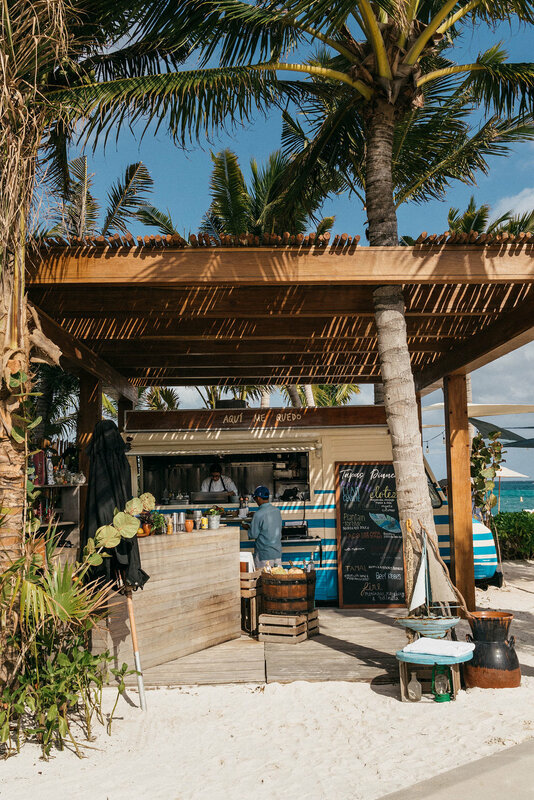 Rode our bikes to El Pueblito, a small square made up of restaurants, boutiques, and art galleries in the middle of Mayakoba complex designed as an authentic Mexican village square. 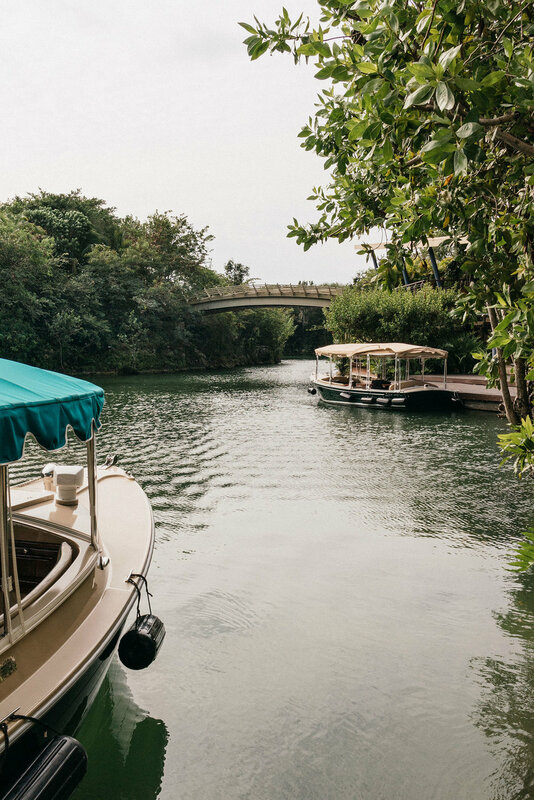 Circle line ferries are available every half hour to bring you to any of the other resorts in the Mayakoba complex – Fairmont, Andaz, and Banyan Tree. 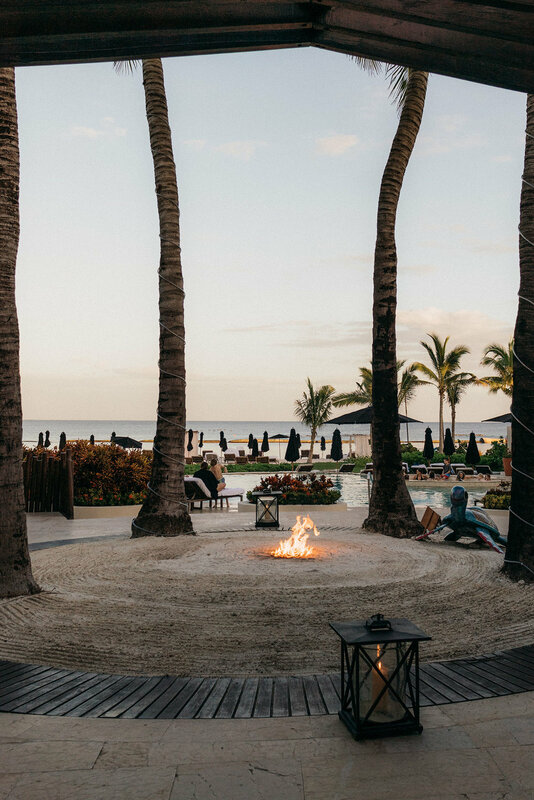 Each resort was designed to enhance the natural environment for visitors to truly appreciate the beauty of the Riviera Maya. 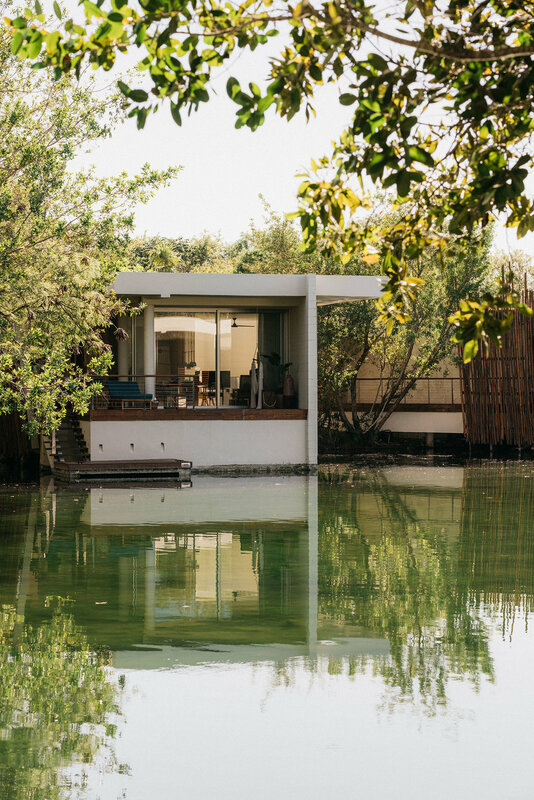 Arrived at Banyan Tree Mayakoba. 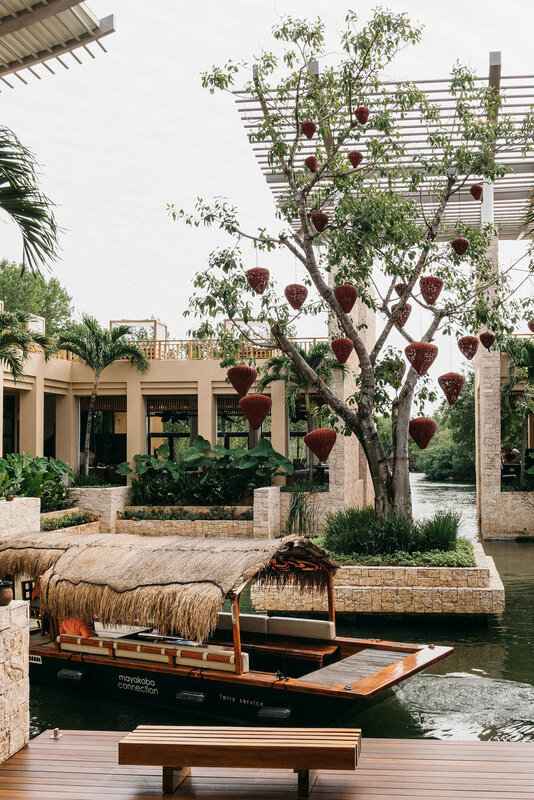 Rosewood Mayakoba is an incredibly special destination. Hubby and I stayed at this special place over the holidays and we couldn’t have asked to spend it in a better way! 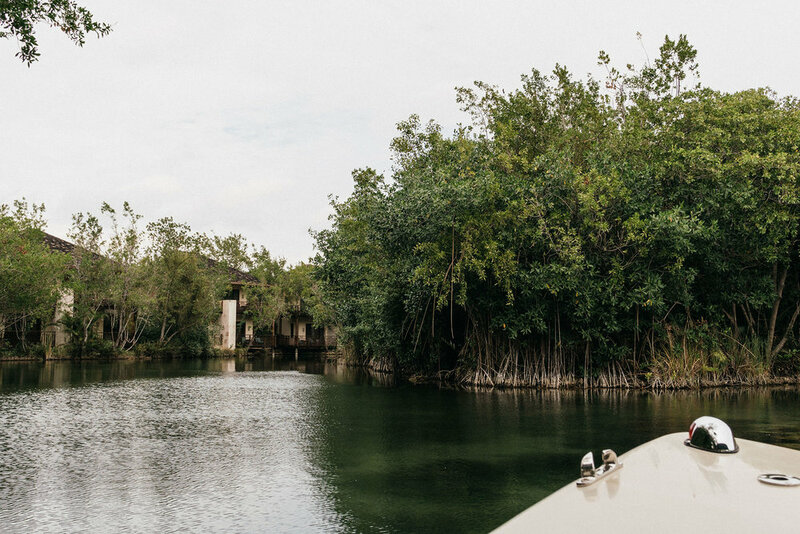 Only 30 minutes from Cancun and an hour from Tulum, it is also super easy to get to. 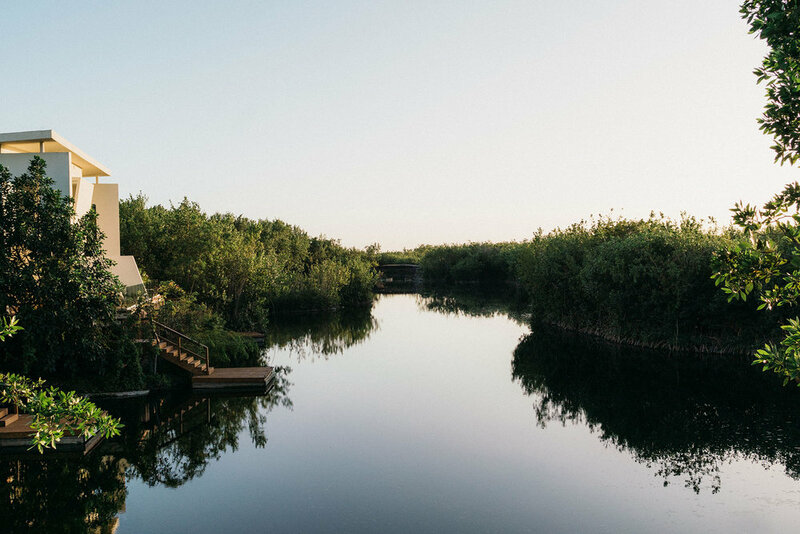 There are 129 exclusive suites and private residences on property, and they are built along the freshwater lagoon and the Caribbean Sea which all create a sense of serenity. 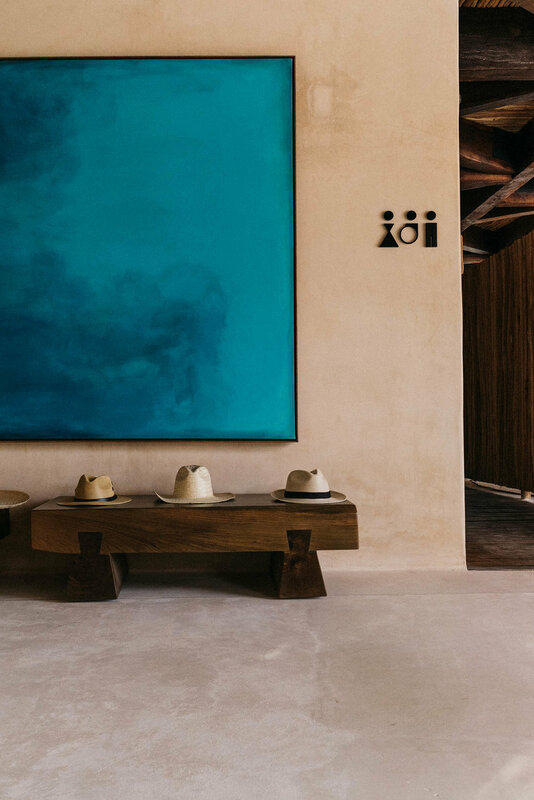 From the exceptional service to the beautiful aesthetics, there is no doubt it is one of the most highly rated resorts in the world. 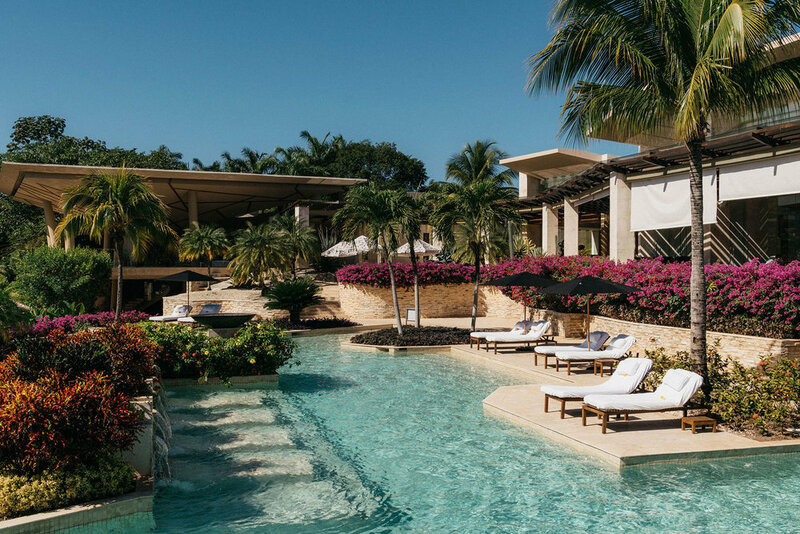 We spent most of our time alternating between the pools on property and the private plunge pool on the lagoon in our suite – all truly luxurious. Whether it be for a special occasion or a warm weather getaway, I truly recommend a trip here. Thank you again to Rosewood Hotels for an incredible experience we will never forget. 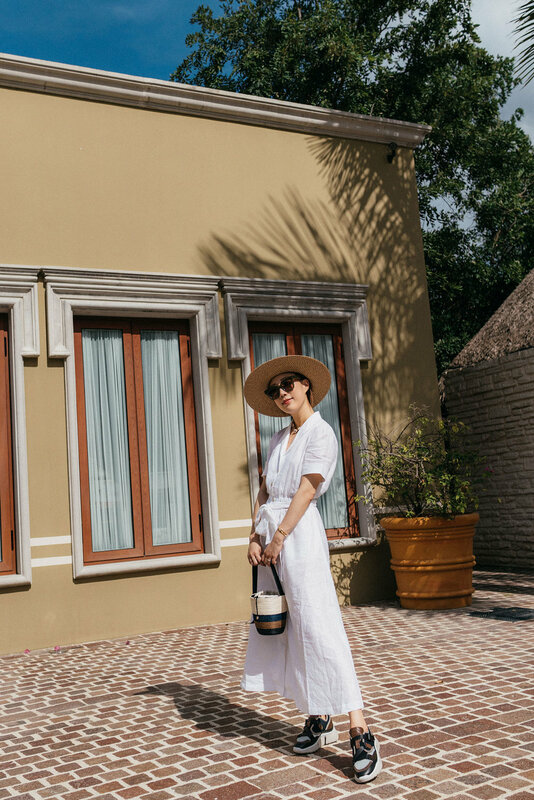 In collaboration with Rosewood Mayakoba; thoughts and opinions are my own.